As a reader of PR In Canada, you no doubt have a good idea as to what “agency life” is all about, the long hours, the endless meetings, but there is a plus side and you or your agency are often recognized for the great work you do. 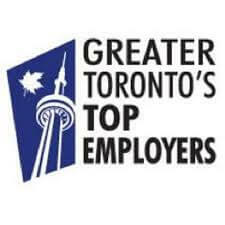 This is the case for public agency GCI Canada and its President Marion MacKenzie who was recently honoured as the only communications and public affairs firm to be named in today’s “2015 Greater Toronto Area (GTA) Top 100 Employers” list by MediaCorp. Over 1,000 companies applied for the award, and GCI stood out for its key strengths including its excellent health benefits and numerous internal wellness programs. An RSP contribution matching program; paternity & maternity leave top up plans for new and adoptive parents; and three weeks paid vacation and time off during the December holidays for all employees were just a few of the standout benefits. The agency also created The GCI Academy which invites staff to learn from each other or outside sources about topics ranging from the latest marketing insights to networking skills. As part of the greater network of WPP (GCI is owned by WPP) companies, employees are also eligible to attend North American mini-MBA sessions hosted by top educators.